We manufacture customised sticky note pad with the customer given information printed on each sheet, which may be the company name, person name, product name or any other detail with logos. Features: Quick reminders for fast action. Usage/Application: Mark pages for quick identification. • Style: Memo Pads • Customized: Yes • Size: Customized • Cover material: Cardboard/Art paper/none • Inner Sheets: 60/80 or customized • Printing: 1-4 color • Usage: Family, office, school, promotion etc. flags, multicoloured sticky notes, folder, calculator. 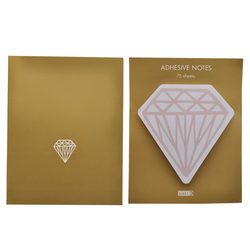 This is promotional Eco Sticky Pad Memo Pad with Ball Pen. Specially useful in Office / Home…. 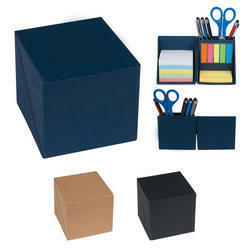 As per the needs and requirements of our clients, we are involved in providing 3M Post It.